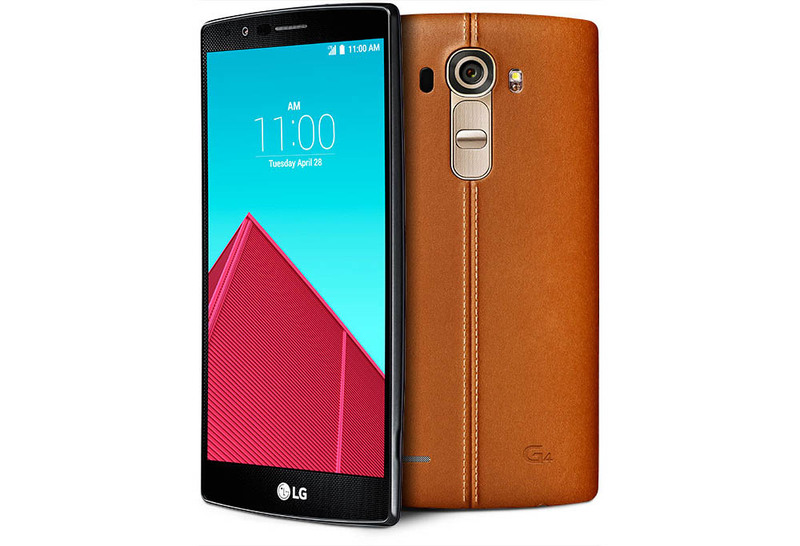 Curious how the new LG G4 stacks up to Samsung’s Galaxy S6 and S6 Edge or the HTC One M9? 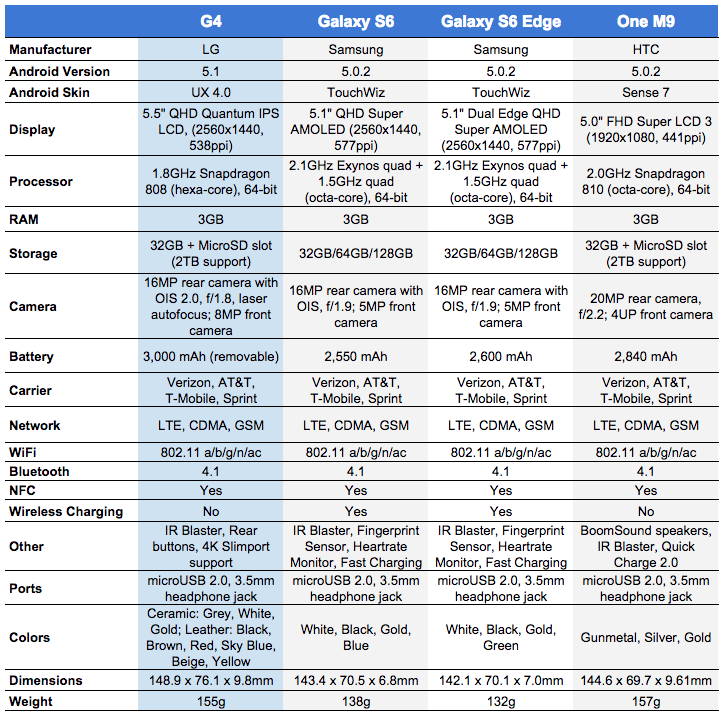 We walked through each phone’s specs and put them together in a simple comparison sheet for you below, so that you can at least get a feel for each on paper. Each phone will undoubtedly be different when in hand, mostly because of the size, finishes, and software experiences, but this still gives you a way to compare the hardware that manufacturers settled on. For example, LG went with the Snapdragon 808 instead of Qualcomm’s supposedly higher-end Snapdragon 810 that is in the HTC One M9. LG did go crazy with the G4’s camera, though, even topping Samsung in aperture. LG also went with a removable battery and microSD slot, something I know a handful of you wish had been included in the Galaxy S6s. Overall, this is a pretty close battle, even if LG skipped on the fingerprint sensor, heartrate monitor, and all-metal body. Edit: The original comparison mentioned the LG G4 as having Qualcomm’s Quick Charge 2.0, but it is now our understanding that it does not include this technology.